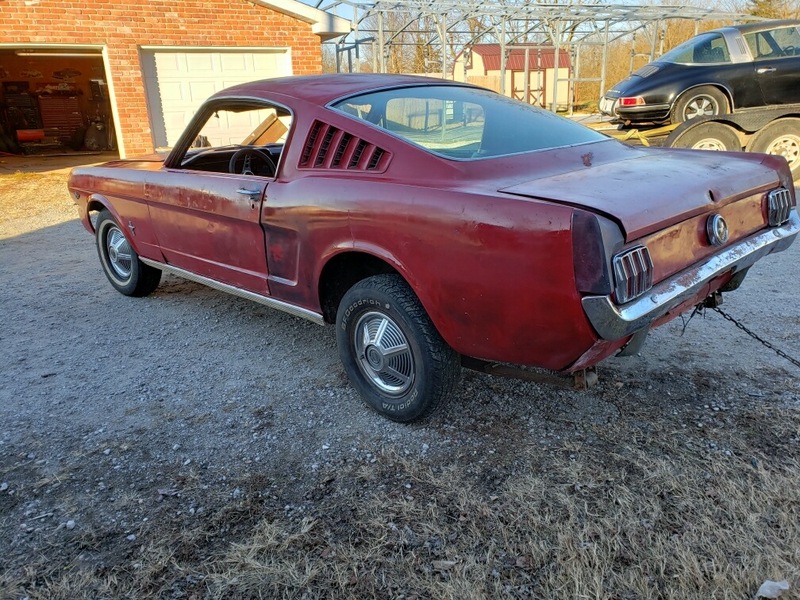 I have for sale a project 1965 fastback. This is a major project, but, it is a great investment! The porsche in the background does not belong to me, and was already sold. Good, clean title, in my name, in hand. This is an original A-Code car, meaning it is an original factory four barrel vehicle. It has what I believe to be the original motor in it, and I have an Edelbrock aluminum intake for it. Factory four speed, this is a very early T-10 car. In fact, this is a very early fastback. 6,000 RPM rally pac-- no, I will not sell it separately. I have a fresh, never fired, never installed 289 motor that I will sell really cheap to the purchaser of the car. Car needs sheet metal work. Both front floors. I have both long floors on hand. Driver's door. I have a super nice one on hand. Short frame rail on passenger side. Perhaps passenger side quarter, although a good body man can patch. Make no mistake, this is a project. 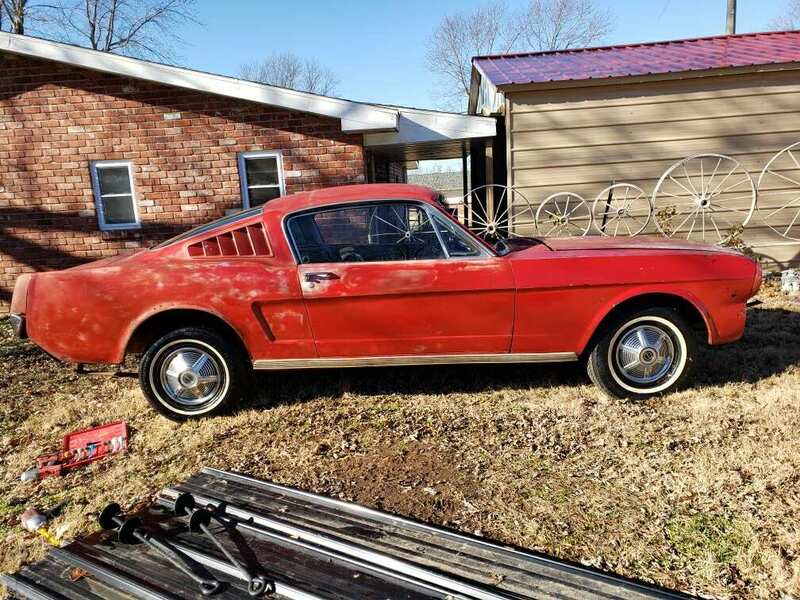 But, the prices of these early fastbacks is through the roof and makes this a great investment. Price is $14,250. I will consider serious cash offers. No low ball nonsense. I don't need help selling it. 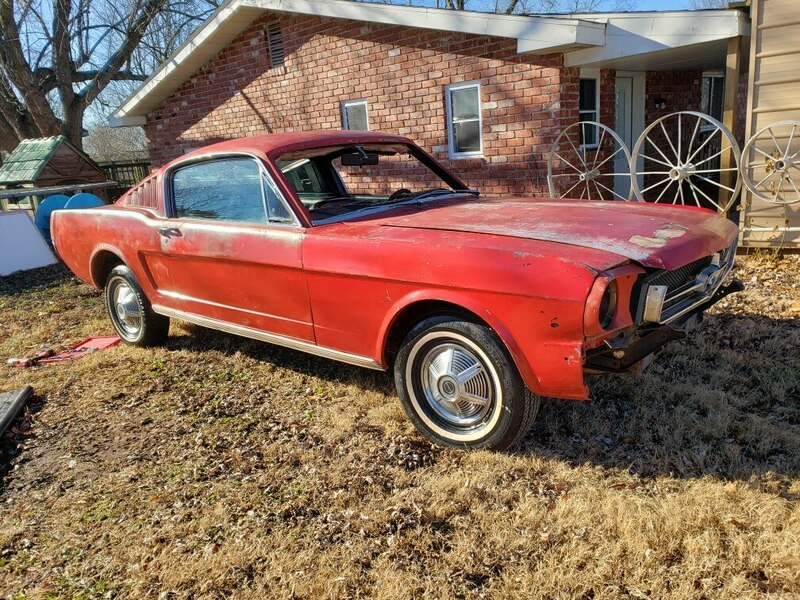 69 Mach 1 R-Code, Need motor! Ok, guys, I am being given the opportunity to buy back a car I sold 25 years ago-- a personal favorite car. I am reducing the price of this fastback to $13,750-- or OBO! I am ready to deal, and cash talks! Curious, did you sell it?